What is pitru paksha or shraddh paksh? what is the importance of shraddh paksh or pitru paksha?, How to please our pitru for success in life?, Wealth creation by worshipping pitru, best ways to over come from pitru dosha. Pitru paksha is a time period of 16 days when Hindus pay tribute to their ancestors. This is the time period when we remember our ancestors or pitru, this is the time when we do some rituals only for the upliftment of our pitru. As per Indian mythology ancestors comes to seek food and other things during these days in the form of subtle energies. So it is good to offer homa daily in the name of pitru during pitru paksha. Pitru Paksh, What To Do? Pitru paksh is also known as shraddha paksha or mahalaya. People who are facing problems of pitru dosha perform processes to minimize this dosha in horoscope in these days. Just after Ganesha festival pitru paksha starts and it ends on sarvapitru amavasya. Shraddha paksha is the time when souls easily come in earth and wander to get the offered things for them as per hindu mythology. shraddha paksha is very important for the Hindus. No one leave these days and generally in every hindu family we can see the special offerings of food in the name of souls or pitru. Now the question is that who are pitru? So I want to clear that pitru are the souls who took birth in our family and died timely or by any other reasons. It is said that it is good to do something for their upliftment otherwise person faces problems in his or her life. 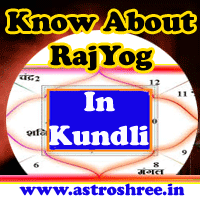 As per Indian astrology pitru dosha in kundli is a very problem due to which person is unable to get good growth in personal and professional life. In pitru paksh if any one performs rituals for the goodness of souls then definitely he or she gets blessings from pitru or ancestors. Tarpan is also done on these pitru paksha for the peace of souls and in fact it is taken as most auspicious process. People also offers food, cloths, water, money to the needy persons on these days in the name of ancestors or pitru. But it is also said that no auspicious work is carried out on these days. If any one is suffering from pret dosha, grahan dosha, pitru dosha, kaal sarp dosha then pitru paksa is the time when good rituals can be done to minimize the impacts of dosha. It is good to pay homage to the souls who were with our family on pitru paksh.It is good to show gratitude on pitru paksha for our ancestors.It is aur duty to perform some special process like homa and tarpan for the upliftment of our ancestors or pitru. Great advantages comes in life if any one perform pooja for the well being of ancestors or pitru. Here i am providing some benefits which a person can get in Pitru paksha. If any one is facing progeny problems due to pitrua dosha in horoscope then by taking the blessings of ancestors it is possible to over come from this hurdles. If any one is facing financial problems in life then by worshiping pitru on shraddha paksh it is possible to open new opportunities. If any one is facing marriage problem due to pitru dosha then also it is good to perform rituals for the well being of souls and to get blessings from them. If there is a job problem then also ancestors will help you. If there is any strife in family then it is very good to offer food and tarpan daily in the 16 days of pitru paksha and ask them to change the environment of your home. Solution of business problem is also possible from our ancestors. Get Health and Wealth through Pitru Pooja in Pitru Paksha. So don't underestimate the pitru or ancestors, show your gratitude and pray for the blessings. Definitely we can make our life successful. How To Please Our Ancestors or Pitru? 1. The simple way is to offer food in spiritual fire in the name of pitru before eating any thing daily in pitru paksha days. 2. Do feed cows, crows, dog and needy one in the name of ancestors. 3. Regular perform abhishek of lord shiva with black til mixed water. 4. Do give the dhuni of kesar on south west corner in the name of ancestors in shraddha paksh. 5. Pitru shanti pooja is also a good way to get the blessings of pitru. 6. Don't abuse any elders on these days. 7. Daily take blessings of parents and elders of family on these days atleast. The above are some simple processes which will definitely help you to make your life successful. If you want any specific remedies for you through astrology then do consult ASTROLOGER ASTROSHREE for detail analysis of your horoscope and remedies. Get the best remedies for only you on these pitru paksh. Know the best ways for you to please your ancestors, know the best pooja for the upliftment of your ancestors.